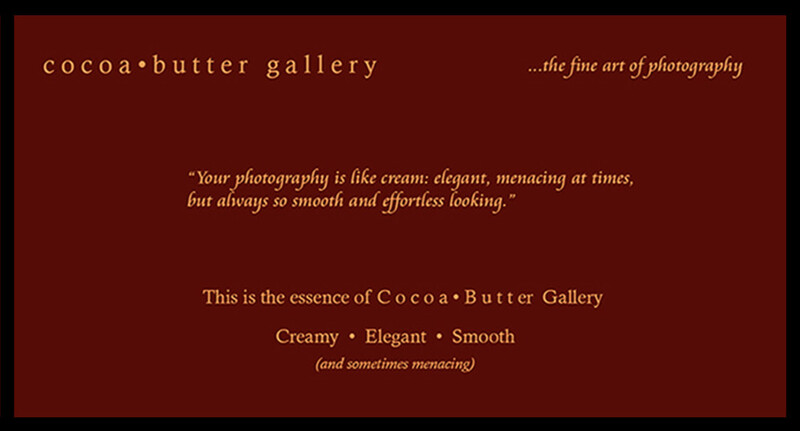 Through Cocoa Butter Gallery I strive to create meaningful images for a discerning clientele. My photography sessions are carefully planned from concept through execution and post production, but always allowing for moments of improvisation and discovery. My images are a celebration of people and culture...and the desire to make human connections through art. 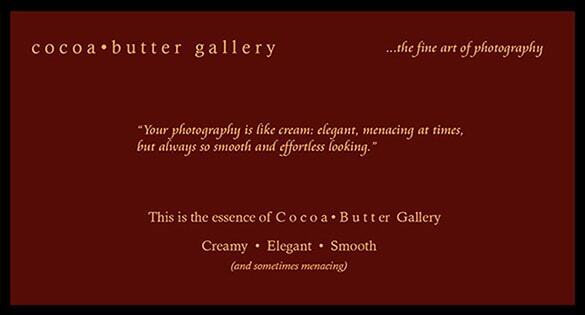 In this endeavour I work with the best local and international talent to deliver high quality photographs that are timeless and transcend boundaries. This body of work is about all of us.